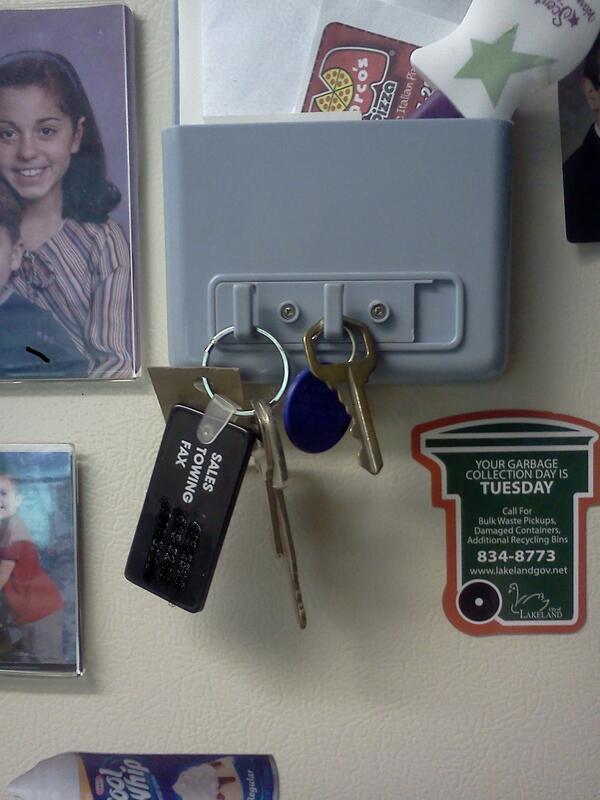 I quickly grabbed every key hanging on our refrigerator and jumped in the car to head to my daughter’s house. Fortunately, I’m on vacation from work this week, and she only lives a mile from my house. No biggie, in comparison to much worse situations, but still concerning. I delivered the key (now I know which one is hers), thanked her neighbor, and headed back home. I can’t help but thinking that we live in a world where people get themselves into some difficult situations. Some are more desperate and tragic than others, but difficult nonetheless. I might have a key that would fit their situation. A key that would point them to Jesus. A kind word, a helping hand, a needed meal or clothing, something that’s just hanging around waiting to be used. While I can’t possibly help every person with every problem, if I’m attuned to God’s voice, I can use some unique key, a God-given gift or talent, my resources, my influence, to help unlock them from their dilemma. I’ve found the more I listen and obey God’s voice in these situations, the more He uses me. And guess what? I get the blessing in return. Back to that key story . . . a couple years ago Lizz asked us if we had her spare Mustang key. Hmmm. The one she hung on the ‘frig? Hmmm. Well. Dad was going through the keys on the ‘frig and said, “We don’t own a Ford anymore, why do we still have this key?” And threw it away. Ooops! Sorry, baby. See you later, I’m gonna go label the spare keys. Got any you’re not using? Copyright Mary Egidio 2012 — permission is granted to reproduce this devotional, but with attribution, and not for commercial purposes. You May Have Already Won…! Fact is, we HAD! My husband brought me a small tub of cream cheese that had been sitting unopened in our ‘frig for a while. On the top of the lid was a peel-off sticker that touted ‘free cream cheese for life!’ to some lucky winner. “Did you see this?” he said. Now, how many products do we purchase monthly or even weekly that promise a chance at money, tickets, trips or prizes? And how many of those have YOU ever won? Yeah, me too. So imagine our shock when he peeled back the sticker and we read the words, “You are a WINNER! Free cream cheese for life!” (My friend Randy won a trip to the Canadian Rockies… I win cream cheese…sounds about right!) Just one small problem. Upon closer inspection we realized the contest had expired months before. (no, we will not stop to discuss the contents of my refrigerator) We had won a prize, but had never claimed it — and now the opportunity was lost. What a great reminder! As my friend, co-worker, and sometimes coach Jenny likes to remind me, each of us was created with a unique set of gifts, talents and abilities. They’re like a prize, just waiting for us to claim them. And I believe God has specific purposes for those gifts — lives to influence, people to encourage, joy to share, blogs to write… (thanks, Jenny). As much as I might like cream cheese on my bagel, His gifts are way better! Have you claimed yours? Or are they still sitting in the back of the ‘frig?